I am by no means a healthy dessert blogger. However, if I can eat a dessert that tastes AMAZING and is lower calorie, then I’ll take it. If I’m going to indulge in dessert, I don’t want to waste my calories on something that doesn’t taste delicious. I made these pineapple cupcakes back when I first started blogging in 2011. 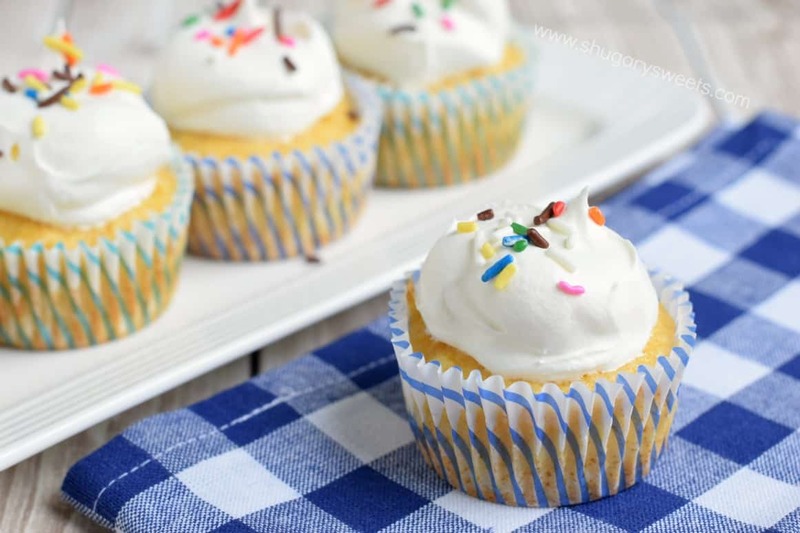 I knew I wanted to update those old photos, because I make these cupcakes at least once a summer! They are so light and fresh, they remind me of a JELL-O poke cake. 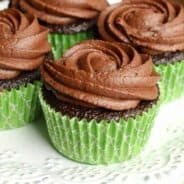 But these cupcakes are even easier! And instead of recreating that old recipe, with the coconut frosting…I made today’s recipe even more simple. THREE ingredients. Now…don’t worry, I’m not going to get all crazy health food on you guys. I’ve got an M&M’S® Fudge recipe coming next. Just in time for 4th of July too! Preheat oven to 350 degree. Line cupcake tin with paper liners. Set aside. In a large bowl, beat dry cake mix with can of crushed pineapples. 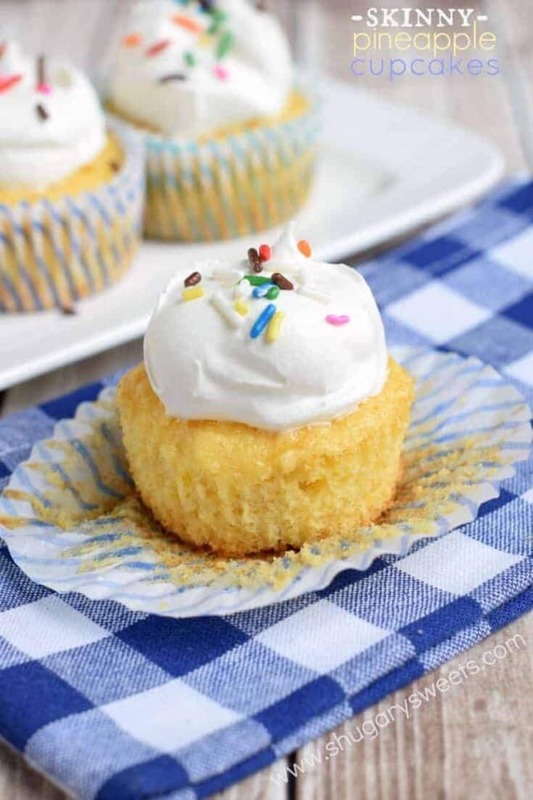 Using a 1/4 cup measuring scoop, spoon mixture into cupcake liners. Fill about 1/2-2/3 full. Bake for 20-22 minutes. Remove and cool completely. 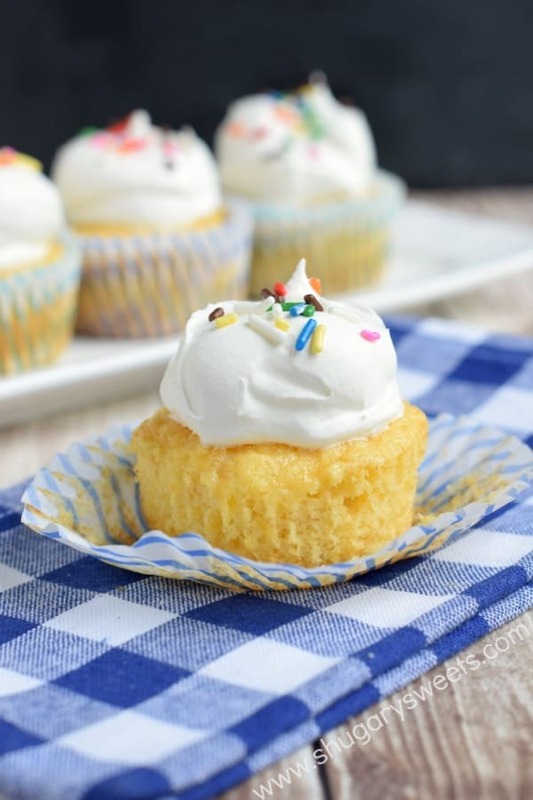 Once cooled, scoop Cool Whip onto each cupcake using a cookie scoop. Add sprinkles if desired. Cover and refrigerate for 1-2 hours until chilled. Serve and enjoy. Looking for more DELICIOUS skinny recipes? I’ve got you covered! 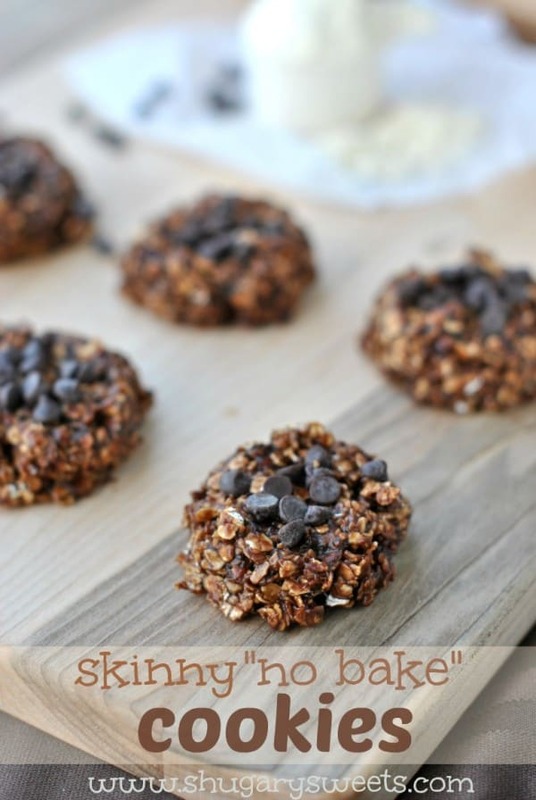 Skinny No Bake Cookies: while they are guilt free…you may be guilty of not sharing these sweet cookies! 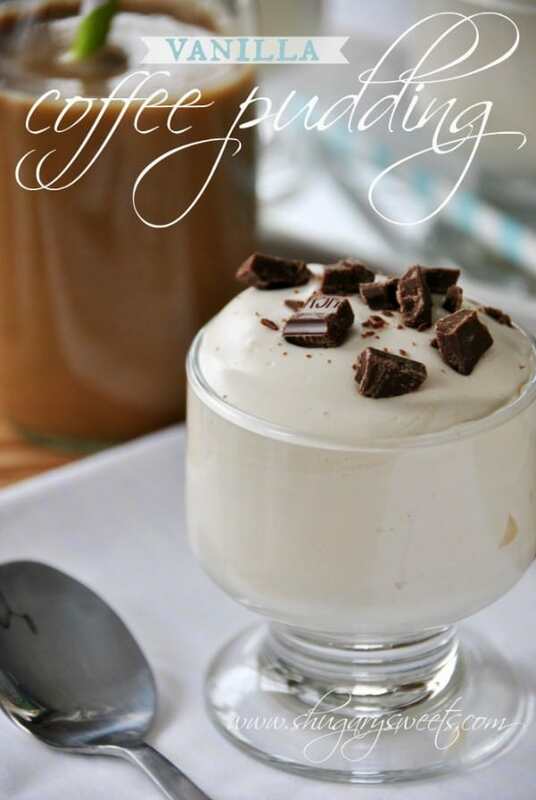 Vanilla Coffee Pudding: light and skinny, this is a great dessert idea! These Skinny Banana chocolate chip muffins have the perfect consistency. A great breakfast OR dessert! Don’t ever become a healthy dessert blogger, Aimee! I’m too fond of all the not healthy stuff. But these are a fantastic way to have your cake and all that. They look so fluffy! I have that exact same problem! I love all food, so I eat probably too much. Always telling my wife, I wish I was a dog and someone would just feed me 3 sensible meals a day and control what I ate and how much I ate. Cupcakes look great. 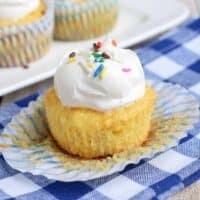 It’s so crazy that a can of pineapple and a box of mix actually make cupcakes!!! I know. You can also do this with an angel food cake. BAM. Even lighter!! 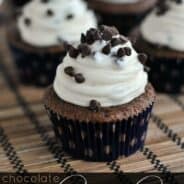 That recipe is pretty darn amazing~ 3 ingredients and BAM gorgeous cupcakes! The best dessert are the ones you can enjoy and not feel guilty about! Love these Aimee! What perfect cupcakes! I have never tried a pineapple flavoured cupcake before but they sure look and sound delicious. I’m gonna try this with sugar free cake mix! (My husband and I are diabetic, so I’m always looking for treats we can have without screwing up or blood sugar). Can’t wait to test this! These look yummy, but they’re not skinny. Sugar is what causes weight gain, not butter or oil. I guess for me “skinny” is a relative term. These aren’t loaded with fat, and the calories are lower than a conventional cupcake. So for those of us who enjoy a sweet, but don’t want to totally break our diets…this works. Hey Shugary………… does it make a difference as to which yellow cake mix you use? I had one in the cupboard (looked after and it said it had pudding in the mix) and mixed according to your directions and baked ditto. They were a bit too wet on the bottom as the pineapple all went there. The cake part was baked well, I did test it before removing from the oven. Second pan I baked a bit longer, but ended up taking off the paper cups and broiling the bottom pineapple part, which was yummy. Any ideas? I usually do well in the baking dept., this was a suprise as we were looking forward to eating them up, it’s going a bit slower than I thought, still some left today. They ARE yummy though and I want to make them again. Also, we had them with whipped cream cheese as we don’t like cool whip type products. Thanks for any help you can render for me to be more successful. Hmmm, I just use a regular yellow cake mix. I wonder if the pudding in the mix made it too heavy? Hi there, can I bake in a sheet pan instead of cupcakes? Thx! Thanks! 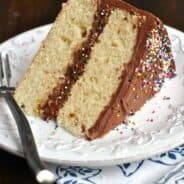 I made this cake and it is extraordinarily delicious! My cake hardly rises and is very dense. This was very easy and very tasty! 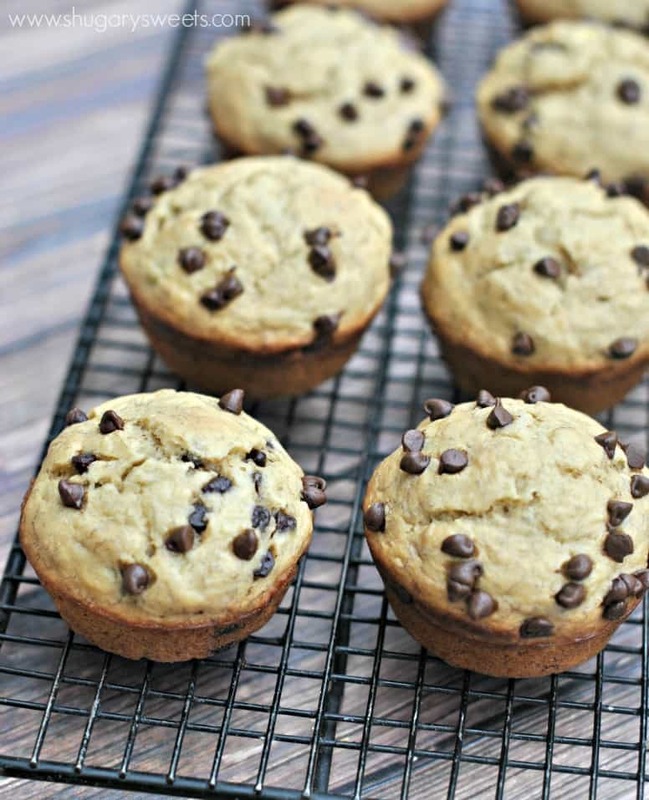 Have you calculated this recipe for sugar and carbohydrates? Have you calculated this recipe for sugar, carbohydrates, etc. ?